Yellowstone Ski Festival is ON! It is less than a week until the Yellowstone Ski Festival, and this will be the best year yet! 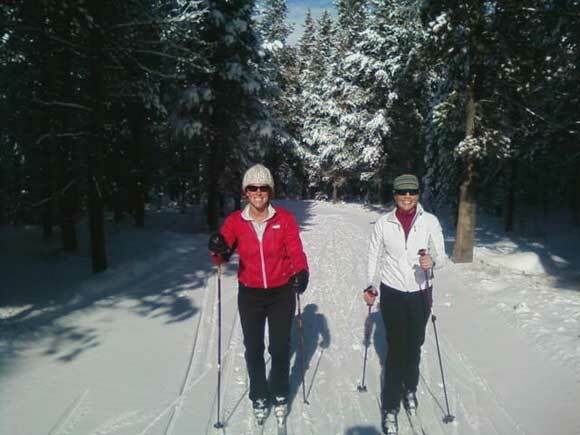 The Rendezvous Ski Trails are currently set with both classic and skate lanes and we are skiing in town! There is snow in the forecast for tonight and again this weekend. Cold overnight temperatures and professional grooming are keeping the trails in great shape for the 2009 Yellowstone Ski Festival. 2010 is a Winter Olympic year and the West Yellowstone USSA SuperTour races will help determine who is going to Vancouver . Ski alongside Taz Mannix, Garrott Kuzzy, Noah Hoffmann, Morgan Smyth, Lindsay Williams, Caitlin Compton, James Southham, Leif Zimmerman, and Bryan Cook, just to name a few of the top names in XC Ski racing that will be at the Yellowstone Ski Festival. 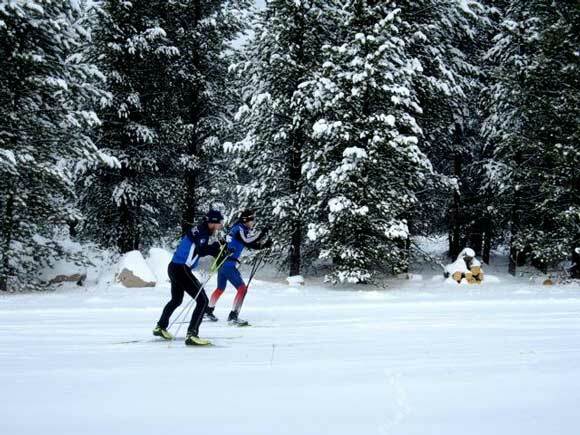 In West Yellowstone next week you will also find competitive racers from Canada, Iran, Venezuela, and South Africa as they try to earn enough points to make their national teams. There is still time to make your plans and head towards Snow Heaven. Shuttle service is available from the Bozeman airport. Pack your gear and leave the driving to the professionals. You will find a variety of lodging choices at http://www.yellowstonedestination.com. The Holiday Inn, Yellowstone Ski Festival Headquarters, currently has accomodations and packages available for next week. Give them a call at 800-646-7365 for room and dining options. Many families make the Yellowstone Ski Festival their Thanksgiving tradition. If this is your rookie year, the Oregon Shortline Restaurant, located at the Holiday Inn and under new management, and Sydney’s Mountain Bistro will be offering a delicious, traditional turkey feast for the holiday. Relax apres-ski at the Iron Horse Saloon in the heart of the evening indoor Expo area. The Iron Horse Saloon will feature pint specials all week long from the Grand Teton Brewing Company and offers four big screen TVs for anyone looking for the game. The Nordic clinics have a spot open for you. Consider a five-day or a three-day class and really get your glide on! Sunday marks the early deadline for race ragistration. SuperTour and Biathlon race registrations received after November 22 will be subject to a late fee and registration for these events closes on Tuesday, November 24 at 5pm. The entry for the Juniors race has been extended until Friday, November 27 at 5pm. For more information about the Yellowstone Ski Festival visit our website at www.yellowstoneskifestival.com. This site is being updated daily, so check back often. Further questions can be addressed to Sara Hoovler at 406-599-4465 or info@yellowstoneskifestival.com We are looking forward to seeing you at next week’s Yellowstone Ski Festival.